Rebecca’s high energy and enthusiasm sends a charge whenever she walks into a room. And it’s this same energy and drive she channels into getting results for her clients. 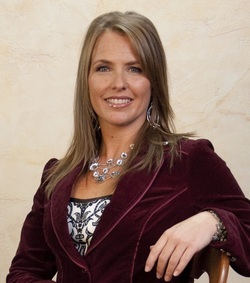 Rebecca has over 10 years experience as a Real Estate professional. Her background in high tech sales and marketing created her well-earned reputation as a top sales performer and excellent communicator. As the lead agent of Team Reba, she helps buyers and sellers achieve the price they’re looking for by negotiating effectively, while always working to protect their financial interests. Sure Rebecca’s all about business, but the next time she pulls up in that kicky red convertible of hers, just remember she’s also a lot of fun to work with. Rebecca lives by a “give before you get” philosophy, motivating her to donate to charity a portion of her commission from each successful transaction. She is a proud member of the National Association of Realtors® as well as an active member in her community and charitable organizations.